I don't have time. I am too tired. NO longer an excuse! "I don't have time to prepare healthy meals!" "I am too tired by the time I am finally done with work to go to the grocery store!" "I don't know what to make for dinner!" It's no surprise that my schedule is busy. Owning my own business leads to a lot of stress, long hours, and being constantly on the go-go-go. Sometimes I am exhausted by the time I finally get home. In other words, I totally understand how you feel! I have found ways to help me continue on my health journey - despite these struggles - and I hope you find them helpful as well. If I can offer one key piece of advice to get past the hurdle of time and fatigue, it would be this: PREPARATION IS KEY! You must plan ahead. You must plan your meals. You must plan your grocery shopping list. You must plan when you will go to the grocery store. You must plan how you will store your food. You must plan what you will do when you're away from home. I highly recommend getting a Food Saver. I was skeptical until I tried one. It is really helpful if you purchase food in bulk. I have found it great for storing meat in the deep freezer. 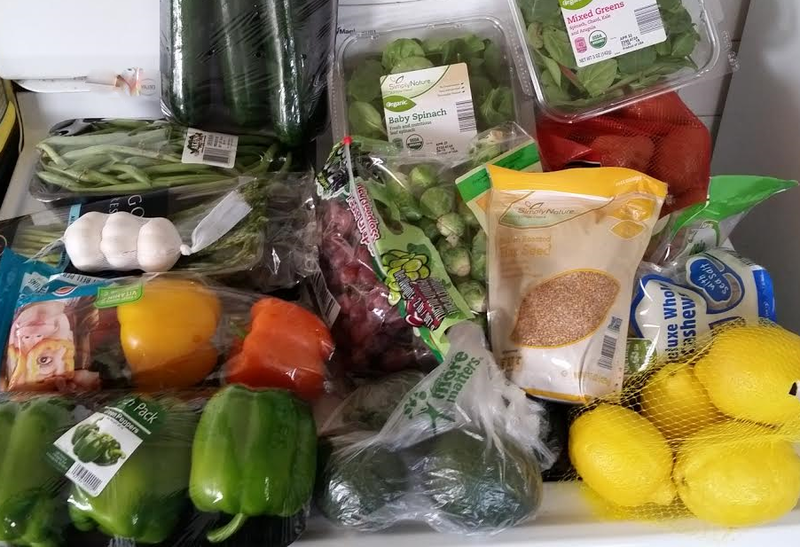 Also, I find that I am less wasteful since eating healthy involves eating fresh, not processed, food that will spoil. The after: Veggies. Sometimes I like to separate into individual meal portions. It depends on how many mouths I am feeding. Meat and seafood, also separated into individual meal portions. You could do this process with pretty much all foods! I am currently limiting dairy, but I know the Food Saver works great for cheese. If you don't know what to make for dinner, one key piece of advice I would like to offer is: EAT THE RAINBOW! It is important to eat a variety of foods. I recommend my patients eat 3 times the amount of vegetables to fruit. We are quickly approaching the season here in Minnesota where it is very easy to do that! Regarding the cost of eating healthy, growing your own or shopping the local Farmer's Markets are great ways to purchase organic at an affordable price and support local. Additionally, preparing meals at home is SO much more cost-effective than eating at restaurants every night. I hope you found this information helpful. What is the one thing that helps you stay on target with your healthy eating goals? Please share in the comments below! Older PostDo you believe in magic?